The Chris Dunne band have been going strong with the current line up since March 2014. Consisting of Chris, Roly, Nick, Lee, Tom and Gerry, this six piece band have many years of musical experience between them. The band originally formed in 2013 and we’re called ‘the find of 2013’ by Hannah Valize of Cross Country Magazine, have won band of the year awards twice in a row at Flights CMC and are the current holders of Southern Country Magazine’s Band of the Year award. 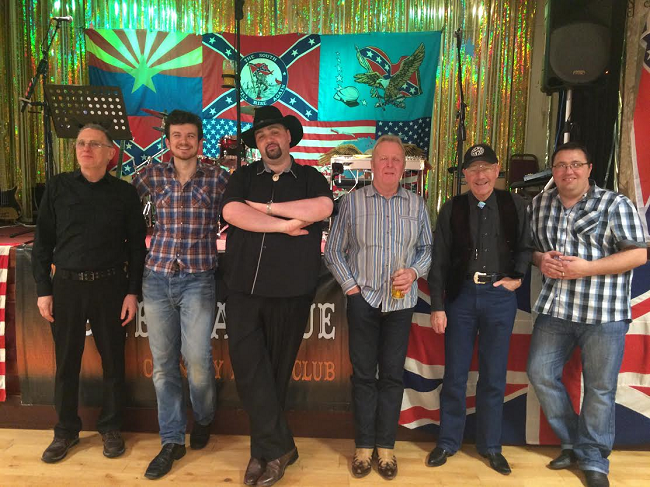 Influences such as Garth Brooks, Alan Jackson and George Strait are very prominent in their sound and with their impeccable harmonies, strong vocals and excellent musicianship, it is not hard to see why they are rapidly becoming one of the favourite bands on the UK country circuit.